Check out the new kids wear section by iShopping.pk that has gotten an outstanding ovation from its customers. Beautiful and delicate baby body suits for their utmost care and comfort are now available on the website trough proper online shopping. Give the kids the best upbringing that can be mustered as we help to solve the numerous challenges faced by adults during this state. If you love your kids, then iShopping.pk is the right choice for you. 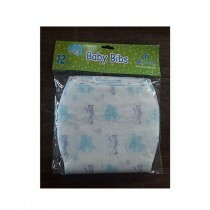 These are cotton rib baby suits designed specifically for little children. The padded nature of he suit allows for a more suitable environment for the kids far way from harsh temperatures. It’s stretchy expandable quality provides simplicity and removes any chances of wear or tear completely. iShopping.pk is selling entire body suits for babies in 3-4 set pieces depending upon the age of the child in question. White lining cover shirt and a zipper enclosed hoodie jacket for warmth is exactly what a child needs the entire ear around to protect itself. The 3 set piece also includes colored pants while the 4 piece set add a pair of fresh socks, a topped hat and food scarf. Safety is definitely the main criteria for iShopping.pk as the orders keep flowing in day by day. The cotton padded clothing is lined with polyester and can absorb any small impact that can protect children to an extent. It is this reason for its popularity in the country among the adult demographic as they see it s the perfect packaged clothing for their babies. iShopping.pk has always considered its products to be of top quality and nothing less. Customers buy these products mainly for its long term solving ability. With the kids wear sets, we have combined a new clothing system that is perfectly wearable year around and yet does not wear out in any way.